Apple pie is a popular apple dish to make during the National Apple Months from September to November. Instead of a sweet apple pie, try a savory one instead: apple cheddar bacon mini pies. 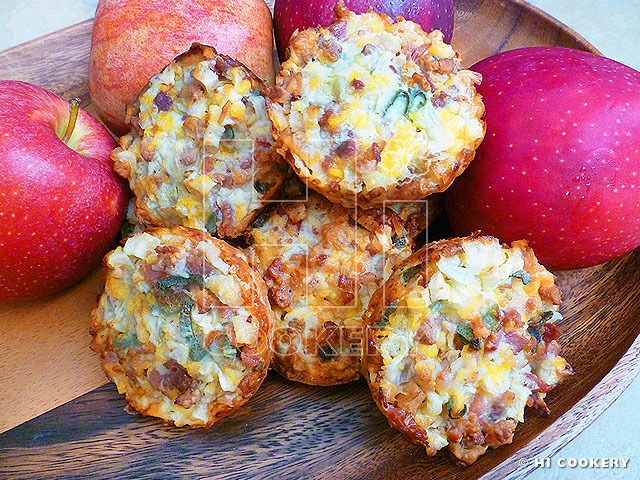 They are like a small yet hearty quiche full of flavor from apples and applewood smoked bacon. Islander brought this dish instead of a dessert to the culinary book club meeting at the local library this month, following the apple ingredient theme. Most members brought the typical, sweet apple dishes so they very much welcomed Islander’s contribution to balance out the buffet. Try something different than the traditional apple pie and make a savory apple cheddar bacon mini pie during National Apple Months. Cook the bacon (fry or bake), drain the grease, let cool and crumble into pieces. Peel and dice the apple. Chop the onions. 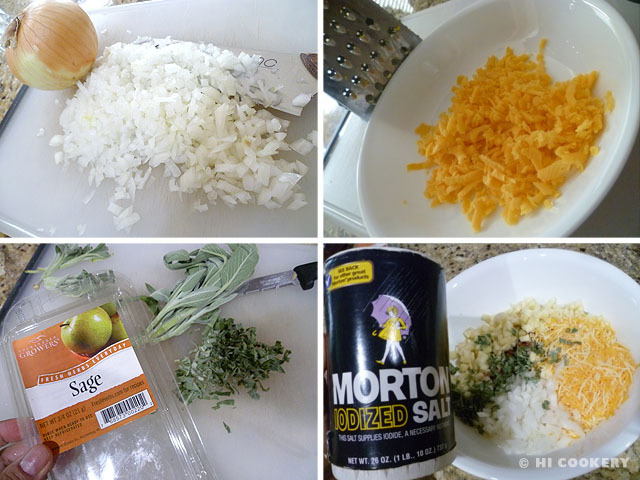 Place in a large bowl with the cheddar cheese. Chop the sage and add to the bowl. Sprinkle the salt and mix well. In a separate bowl, stir the Bisquick mix with milk. 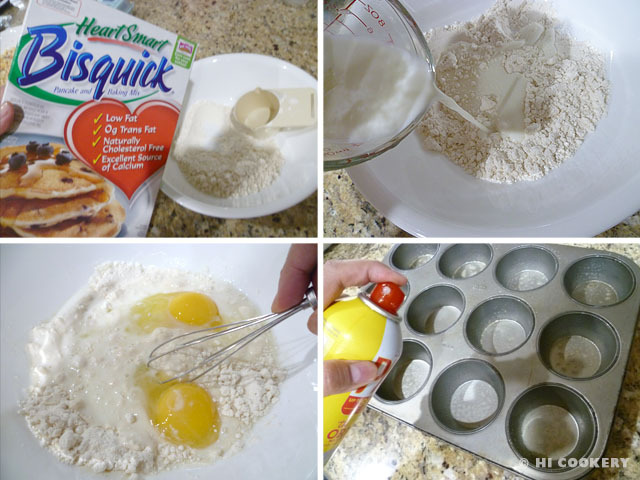 Beat the eggs into the Bisquick mix until the batter is smooth. Mist a standard-size muffin pan with cooking spray. Place a scant tablespoon of the batter into each of the 12-15 compartments. 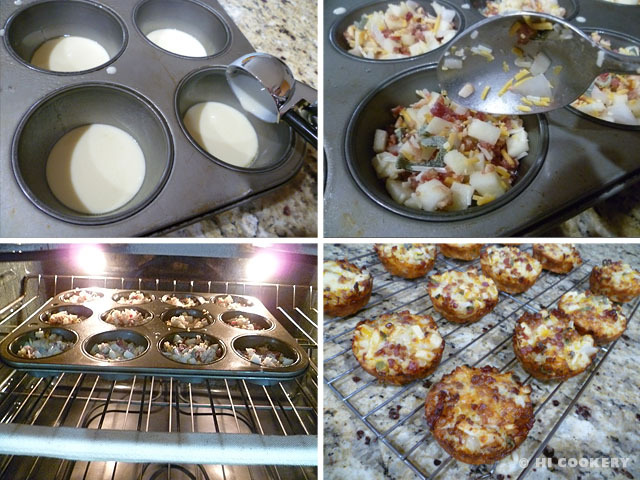 Divide the apple-cheddar-bacon mixture and scoop into each compartment (about ¼ cup or 4 tablespoons). Top with remaining batter. Bake in a preheated oven at 350 degrees F for 25-30 minutes. Remove from the oven and let cool in the pan for five minutes. Transfer to a rack to cool slightly. Serve warm. 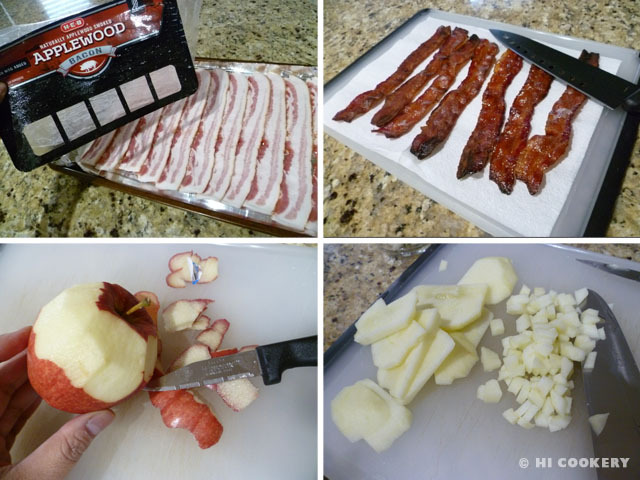 As a shortcut, use two packages (3 ounces each) of pre-cooked real bacon bits and pieces. Search our blog for other recipes containing apples as an ingredient.